The United States is stepping up pressure on China to free a US geologist given an eight-year sentence on state secrets charges, dismissing Beijing's insistence that the case was an internal affair. Xue Feng, a Chinese-born US citizen working for a private firm, has been detained since November 2007 over the sale of a database on China's oil industry. He was handed an eight-year term this week despite US appeals. "We remain extremely concerned about his rights to due process under Chinese law," State Department spokesman Mark Toner told reporters Tuesday. "We call on China to grant Dr. Xue humanitarian release and immediately deport him back to the United States," he said. 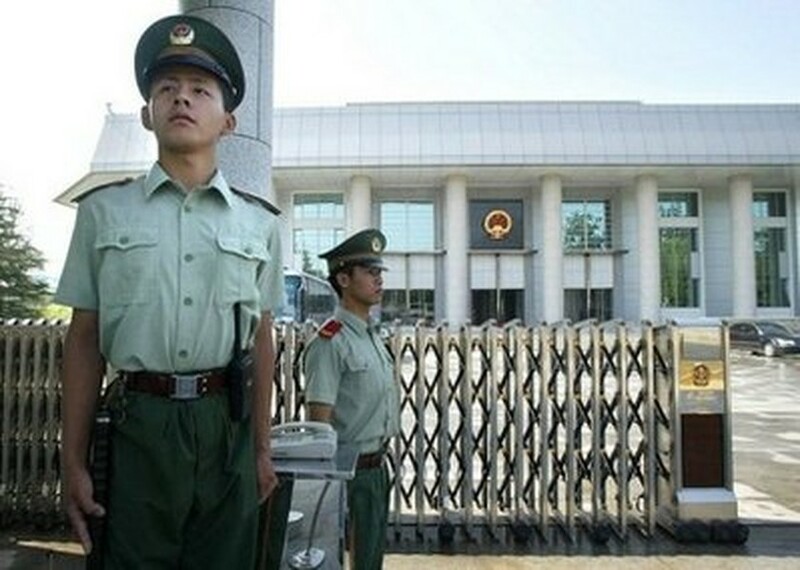 File photo shows military police standing guard at the entrance to the Number 1 Intermediate People's Court of Beijing. President Barack Obama's administration has sought to cooperate with a rising China on a range of international issues and has been roundly accused by activists of downplaying human rights concerns. But Xue is an American citizen and, according to diplomats, Obama has personally raised his case with Chinese President Hu Jintao. US consular officials have visited Xue close to 30 times since his detention. US Ambassador Jon Huntsman attended Xue's sentencing in Beijing on Monday and expressed dismay over the punishment. Chinese foreign ministry spokesman Qin Gang defended the handling of the case, saying: "This case was handled by China's judiciary, which judged it strictly in accordance with the law." "This is an internal affair of China; China's judicial sovereignty brooks no foreign interference," he said. Asked about China's reaction, Toner, the State Department spokesman, replied: "The protection of US citizens overseas is our highest priority." The United States has "consistently and will continue to raise his case at the highest levels," he said. At the time of his arrest, Xue was working for the US energy and engineering consulting firm IHS Inc. Both Xue and IHS have stated that they believed that the database was a commercially available product. After Xue purchased the database, it was subsequently classified as a state secret, according to the Dui Hua Foundation, a rights group. The rights group said that Xue, in his meetings with US consular officials, showed scars on his arms which he said were cigarette burns inflicted by his interrogators. Ed Mattix, a spokesman for IHS, said that the Colorado-based company was "sad" to hear of the sentence against Xue. "IHS is extremely disappointed at the news and is very sympathetic to the situation," he said. He declined further comment, saying the case may be appealed. Xue's arrest and drawn-out trial has cast a spotlight on the pitfalls of doing business in China, especially for those born in China who have been educated abroad and taken on a foreign nationality. 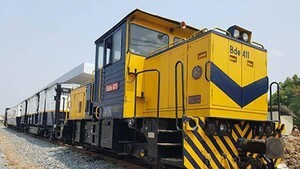 Australian national Stern Hu, an executive with the mining giant Rio Tinto, was sentenced to 10 years in prison in March on bribery and trade secrets charges, in a case that raised hackles in Canberra. US officials have also appealed for the safety of a number of Chinese citizens who have been jailed or gone missing after activism. In an editorial Tuesday, The Washington Post urged the United States to do more to support Gao Zhisheng, a human rights lawyer. Gao, who has taken up some of China's most sensitive cases such as underground Christians and the Falungong spiritual movement, has gone missing twice since last year. His family has escaped to the United States. The newspaper recalled Secretary of State Hillary Clinton's remarks at the start of her term that human rights would not interfere with US cooperation with China. "President Obama has just invited Chinese President Hu Jintao for a state visit. He must allow human rights -- and Mr. Gao -- to interfere," the editorial said.